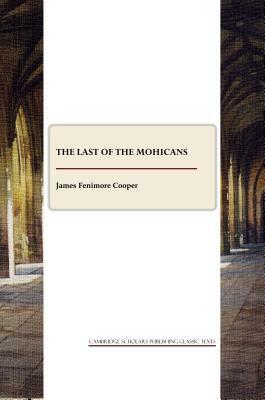 The Last of the Mohicans is by far the best-known of Fenimore Cooper's works, and the most famous fictional incarnation of the native American peoples. James Fenimore Cooper was born in 1789 in New Jersey, the son of a wealthy land agent who founded Cooperstown in New York State. Cooper attended Yale, but was expelled in 1805 and spent five years at sea on merchant then naval ships. He married in 1811, and eventually settled in New York. Precaution, Cooper's first novel, was written in 1820 as a study of English manners; its successors, The Spy and The Pilot, written within the next three years, were more characteristic of the vein of military or seagoing romance that was to become typical of him. In 1823 he began the Leatherstocking Tales series of novels, centred on a shared Native American character at different periods of his life, for which he is chiefly remembered. Cooper's reputation as one of America's leading authors was quickly established, and spread to Europe by a long stay there from 1826, making him one of the first American writers popular beyond that country. After his return to America in 1832, however, conservative political essays and novels dramatising similar views, as well as critiques of American society and abuses of democracy, led to a decline in his popularity. James Fenimore Cooper died in 1851.